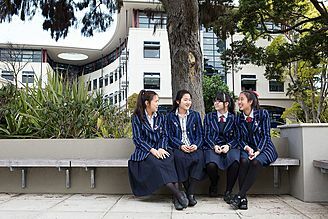 Diocesan is one of the top schools for girls in New Zealand against any comparison for academic results, sports, the arts and commitment to educating young women to make life long and effective contributions to the society in which they live. Parents are attracted to the sense of history and tradition of a school that began at the turn of the 20th century, dedicated to offering the “very best Scholarship” at a time when education for girls was a low priority. This edgy proposition in 1903 has been further extended by the succeeding Boards in terms of the facilities and the opportunities offered. Parents are also attracted by the commitment to educating the whole girl, encouraging her to be “more than she ever imagined” in whatever field of endeavour that may be. 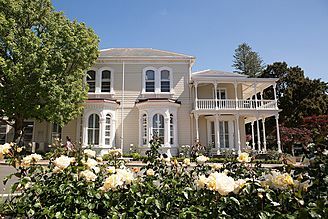 Diocesan is set in Epsom, Auckland. Diocesan’s purpose-built campus is designed to accommodate buildings, sports facilities and recreational areas on a relatively compact site while achieving a sense of space with landscaped gardens, courtyards and covered walkways. 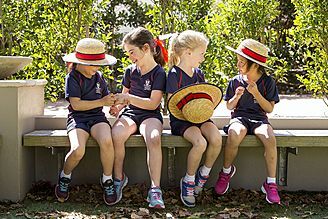 Diocesan Junior School provides a holistic and nurturing education for girls from Foundation Class (3 – 5 years) to Year 6. We are an International Baccalaureate School and teach the New Zealand curriculum through an inquiry-based model. 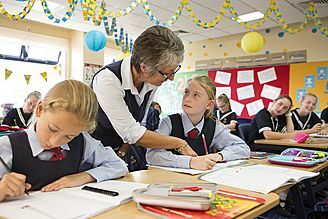 Our school is accredited to teach the Primary Years Programme which links to the New Zealand Curriculum and is part of Diocesan’s school-wide approach to unified learning. We recognise that each girl learns in a different way, so we cater to individual styles, passions and strengths. Our students experience learning through a rich inquiry model designed to engage, motivate, inspire and build on prior knowledge and passions. Our Programme of Inquiry is developed to strengthen knowledge development, critical thinking and problem solving. As a result, students are confident communications who show empathy towards others and are knowledgeable on different issues. At each year level and integrated into our units of inquiry, students explore different aspects of leadership and learn to apply these in everyday situations, building on characteristics that will set them up for life. Supporting the Programme of Inquiry, our Centre for Ethics ensures students are prepared for the exciting future ahead, lifelong learning and are ready to make important decisions as a result of the core values and principles developed through their PYP learning. Diocesan began teaching the Diploma programme in 2007. 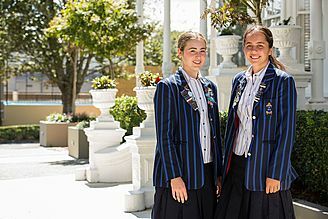 All students undertake Level 1 NCEA in Year 11 before being offered the choice to either continue with Levels 2 and 3, or to begin the two-year IB Diploma programme in Year 12. Upon embarking on the Diploma, students take part in a 2 day induction programme and this is followed up with a comprehensive mentoring and guidance programme for the duration of the Diploma, whereby all students have a 30 minute meeting each term with the IB Diploma Coordinator to evaluate progress and plan next steps. As well as a dedicated Extended Essay lead-in programme, students are supported through their EE, TOK and CAS in ‘Core’ classes, where the emphasis of the class changes throughout the two years, as the focus of each aspect of the Core changes. The individual mentoring, as well as the dedicated Core classes, position Diocesan students well for successful study at university.